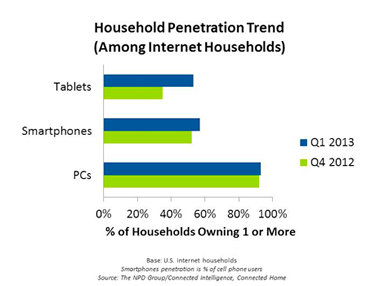 There are now more than half a billion devices in U.S. homes that are connected to the Internet and deliver apps, according to new findings from the Connected Intelligence Connected Home Report from global information companyThe NPD Group. Increases in tablet and smartphone penetration drove the U.S. market to this milestone. Source: NPD Group. Read the full article here.